Any Video Converter is a necessary application for AVCHD camcorder owners. It is a versatile AVCHD Video Converter that can edit and convert AVCHD videos in MTS, M2TS, MOD format to nearly all popular video formats, such as AVI, MPEG-I, MPEG-II, MPEG-4, WMV, MP4, 3GP, FLV, SWF, MKV, etc. so that you can share your joyous videos filmed with Canon, Panasonic, Sony, JVC AVCHD camera/camcorders on iPod, iPhone, Apply TV, PSP, PS3, Xbox, Zune, mobile phone and more PMPs with your family and friends. • Convert AVCHD video to popular Video formats ( AVI, MKV, MP4, WMV, FLV, MPEG etc.). 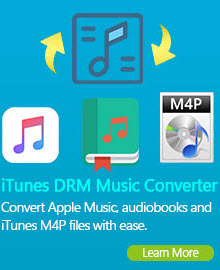 • Convert videos for playback on all portable media players (such as iPod, Zune PSP etc.). • Edit video such as clip, crop, and add special effects, merge, etc. Converting AVCHD videos including (.M2TS, .M2T, .MTS, .TS, .TR, .TP, .TRP, .TOD, .MOD, etc. ) to AVI or HD AVI videos can be come through with Any Video Converter terrifically. Connect your AVCHD video camera/recorder (see supported AVCHD camcorders) to your PC using a USB cable, firewire or iLink(Sony). Copy the videos from the camcorder to your hard-drive. Run Any Video Converter, add AVCHD videos into the program, choose AVI output format from the Profile list, and then click Convert to start converting AVCHD videos to AVI video format. Now, you can enjoy the output AVI videos in various media players on your PC, or transfer them to your portable players, such as Archos, Creative Zen, iRiver, and enjoy them on the go! Any Video Converter allows you easily convert AVCHD video to WMV video that can supported by Windows Movie Maker, Windows Media Player or Adobe Premiere Pro., Microsoft Zune (HD), Windows Mobile-powered devices including Dell Aixm 51, Dell Aixm 51V, HP iPAQ hw6500 series, HP iPAQ hx2000/rx3000/rx1900 series, HP iPaq hx4700 series, Palm Treo series, HTC Touch Diamond, General Pocket PC, etc. AVCHD to WMV converter supports batch conversion, Merge, snapshot, playback and edit video easily. You can convert as many as AVCHD files you like at one time and edit your AVCHD video via Clipping, Cropping, adding Effects (brightness, contrast and saturation), specifying Setting(Resolution, Bit Rate, Frame Rate and Encoder) etc. 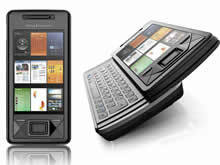 If there's a video on your digital camera in AVCHD format that you wish to watch on a portable devices, such as iPad, iPod, iPhone, Apply TV, PSP, PS3, BlackBerry or on a computer, it will likely have to be converted to a compatible format such as MP4. Any Video Converter is a very efficient and powerful AVCHD to MP4 Converter that can help you convert your AVCHD videos shot by Panasonic AVCHD camcorders, Sony AVCHD camcorders, Hitachi, Cannon AVCHD camcorders and JVC to MP4 format which can be played back on many players on the computer and also on a large number of portable players. AVCHD Video Converter is also an outstanding AVCHD to MP4 Converter for you to convert several avchd video clips into one mp4 file. For your convenience, AVCHD to MP4 Converter also has a very user friendly interface that let you finish the conversion with just a few clicks! Any Video Converter is a groundbreaking AVCHD Video Converter that can help you convert AVCHD to MKV, convert AVCHD to FLV, convert AVCHD to 3GP, convert AVCHD to 3G2, convert AVCHD to YouTube, convert AVCHD to MPEG and more! Besides outstanding converting feature, AVCHD Video Converter is also featured with powerful AVCHD editing functions, such as merging multiple AVCHD files into one, trimming any segments as you like from a AVCHD video, cropping frame size to remove black bars from a AVCHD movie, personalizing your AVCHD video with special effects, add your own subtitle to AVCHD video. Furthermore, you can either download YouTube HD videos or convert your AVCHD videos to YouTube uploadable file types, such as AVI, FLV, WMV, MP4, and share you masterpiece with the world! Any Video Converter an all-in-one Windows 7 AVCHD Video Converter to converting AVCHD Video file format with Best AVCHD movie quality for windows 7, Windows 8, Vista and XP. 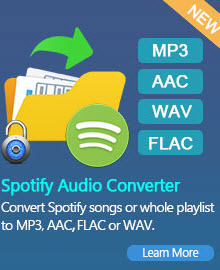 No matter whether you are converting between multifarious video formats, convert avi, MPEG, WMV, DivX, MP4, H.264/AVC, MKV, RM, MOV, XviD, 3GP, FLV, or extracting any audio format including MP3, WMA, WAV, M4A, AAC, AC3, OGG from your AVCHD video, it can all be done with just a few clicks! AVCHD (Advanced Video Coding High Definition) is a format for the recording and playback of high definition video. AVCHD specification allows for both high definition and standard definition recording. For high definition, all major variations are supported, including 720p*, 1080i* and 1080p*. The "AVCHD" is jointly established by Panasonic, the brand name for which Matsushita Electric Industrial Co., Ltd. is known and Sony Corporation.